Brilliantly white and delicately translucent, bone china is the epitome of luxury. Beautiful yet functional. This mirror has been cast and hand finished by traditional craftsmen from a family company in Stoke on Trent, UK. Many people have their favourite designer label. 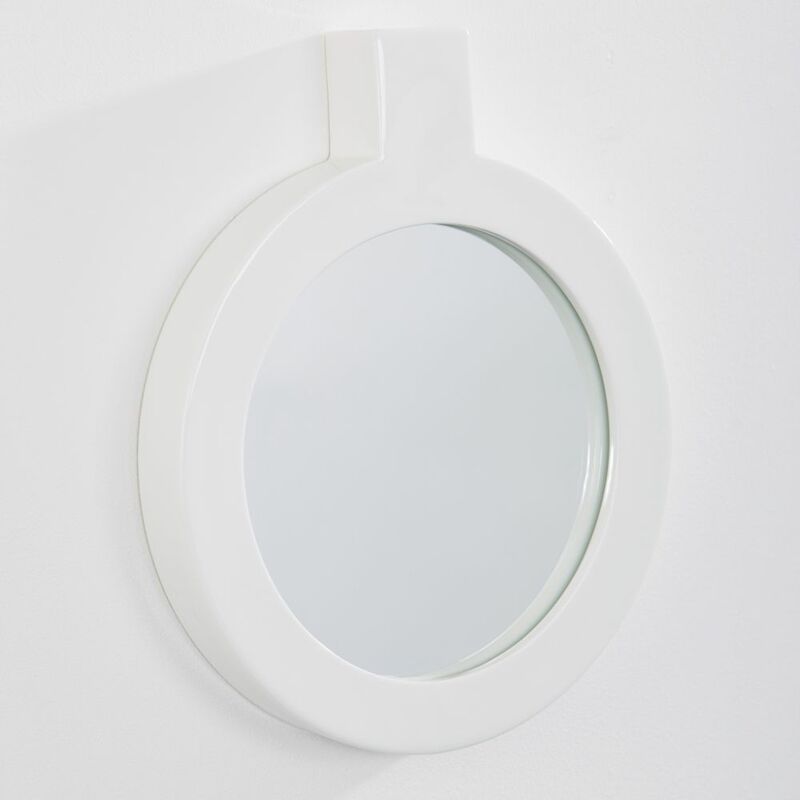 The 'Label' wall mirror shuns decoration and relies instead on the quality of materials and skill of craftsmen. The 'label' doubles as the hook for installation.